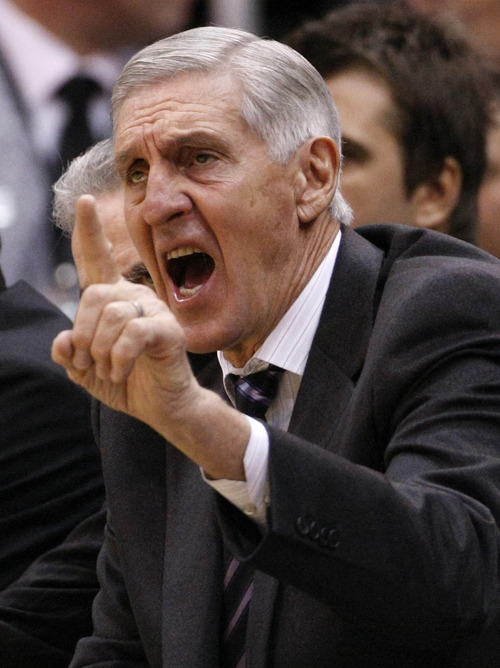 After a 28-month hiatus, former Utah Jazz head coach Jerry Sloan has rejoined the organization as a senior basketball adviser. The Jazz announced his return Wednesday. 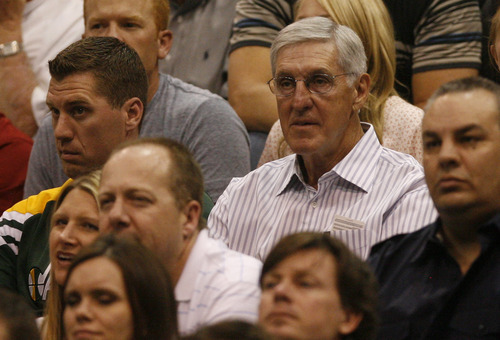 "I&apos;m excited," said Sloan, who was with the Jazz for more than 26 years as an assistant and head coach before resigning on Feb. 10, 2011. "... You can&apos;t be in one place as long as I was without feeling wonderful about being back. I just feel very fortunate." In his new job, the team said in a statement, Sloan will "support Jazz basketball operations and the coaching staff" through professional and college player evaluation. He will scout on a limited basis, attend practices occasionally and conduct an annual clinic for high school and college coaches. "I&apos;ve never done this before," Sloan said. "But hopefully I can be some assistance to different people in different situations." The Jazz approached Sloan about returning to the organization about a year ago. Tyrone Corbin, a former assistant who succeeded him as head coach, talked to Sloan "a couple of times" about coming back and being involved with the franchise. "I didn&apos;t want to step on his toes," he said. "I have too much respect for Ty and what he&apos;s been able to do to ever get in the way." With Corbin&apos;s blessing, however, Sloan eventually decided he wanted to return to the NBA. "I missed basketball a lot," Sloan said. "For a long time, I was around great coaches and great people in the organization. I had a great association with all of them. You get accustomed to that, I guess, and it&apos;s hard to shake." Sloan&apos;s name was connected to several head coaching jobs after he left the Jazz. "Most of it was just talk," Sloan said, although Portland was the one team that actually made him an offer. "... They are a great organization with a lot of good people. It just didn&apos;t seem like the thing to do at the time." Sloan, 71, came to Utah as an assistant to Frank Layden at the start of the 1984-85 season. He became the head coach on Dec. 9, 1988, after Layden resigned. Sloan eventually guided the Jazz to 19 straight playoff appearances. Between 1992 and 1998, the Jazz reached the Western Conference finals five times. Under Sloan, the Jazz reached the NBA Finals in 1997 and 1998. Both times, they lost to Chicago in six games. Sloan, who ranks fourth on the all-time list for NBA coaching wins, was inducted into the Naismith Basketball Hall of Fame in 2009.